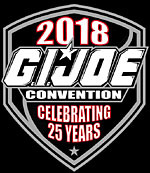 GIJOECLUB.COM - The Official G.I. Joe Collectors' Club! G.I. Joe Collectors' Club - 2008 Collection! Keep watching GIJoeClub.com for more sneak preview photos and information! G.I. Joe Collectors' Club Copyright © 2018, Fun Publications, Inc. All rights reserved. licensors, licensees, suppliers and accounts.